Click Create an Account, to Create an Account and Login to the VMware Download Center. VMware will email you an Activation link which needs to be opened to create the account. The following page will be displayed when you have successfully logged into the VMware Download Center. Pay special attention to the FREE License information which is displayed, and record this License Number, this will be required in a later article. 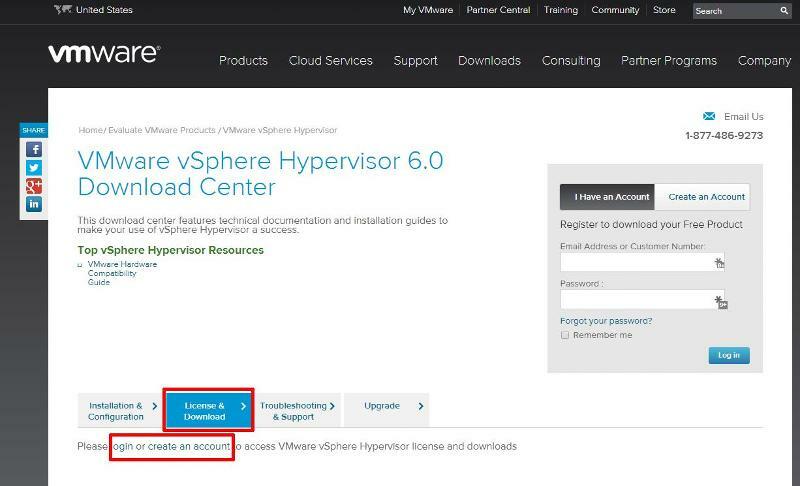 Click the download link for VMware vSphere Hypervisor 6.0 – Binaries ESXi ISO Image to download the software required to install ESXi 6.0 and also download the VMware vSphere Client 6.0. 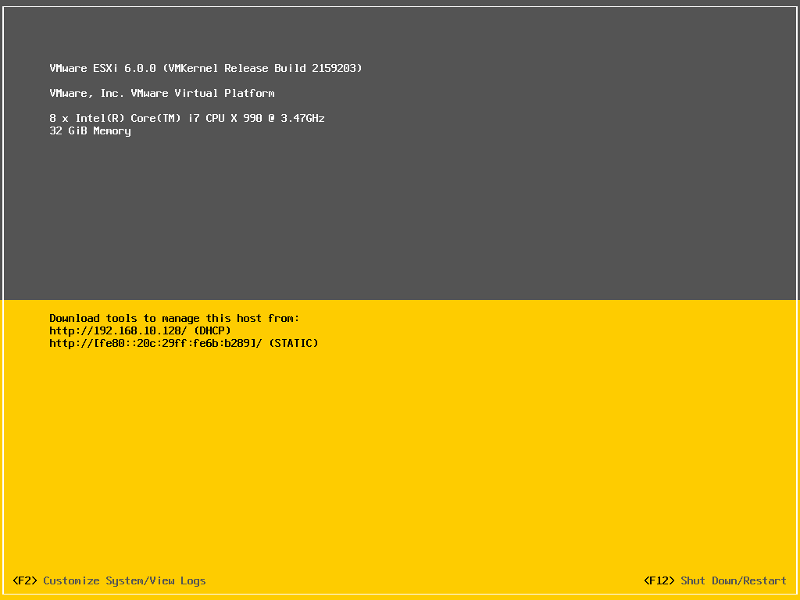 The VMware vSphere Client 6.0 software is the client software that allows us to connect and manage the ESXi 6.0 server, this will be required in a later article. Either use the Download Manager or Manually Download button (which uses your web browser). The CD ISO is only 301MB so should not take too long to download. We have a very slow internet connection, at approx 350 kB/sec, and it takes us approximately 10 minutes to download. 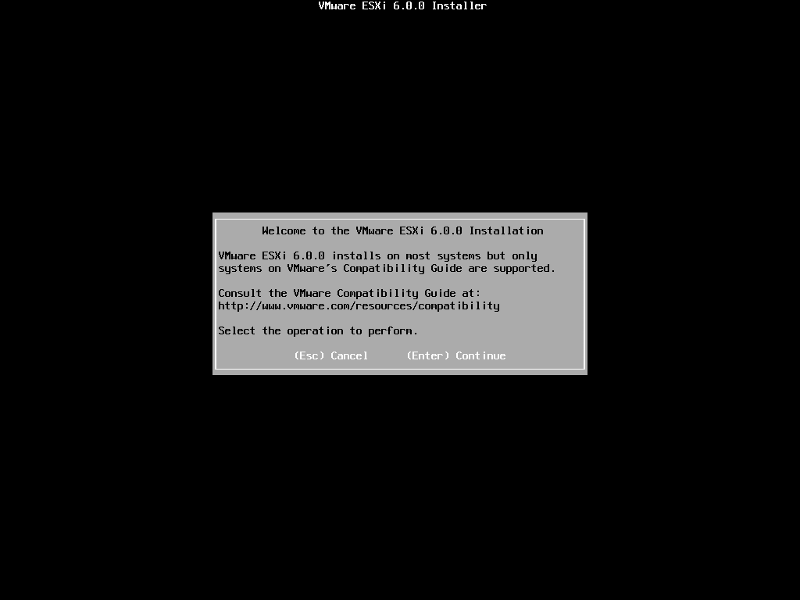 Write (Burn) the VMware-VMvisor-Installer-6.0.0-2159203.x86_64.iso downloaded in Step 1, to a blank CDROM, using your favourite CD writing software. We use ISO Recorder (http://alexfeinman.com/isorecorder.htm). If you are using remote server utilities, e.g. HP iLo or Dell iDRAC,. you can attach the virtual CDROM drive in the server to the VMware-VMvisor-Installer-6.0.0-2159203.x86_64.iso ISO, so there is no requirement to write a CDROM. This is a step which is often missed, ensure the BIOS BOOT order is set to BOOT from the CDROM Device or ATAPI device in the server, otherwise the computer will not BOOT from the CDROM. 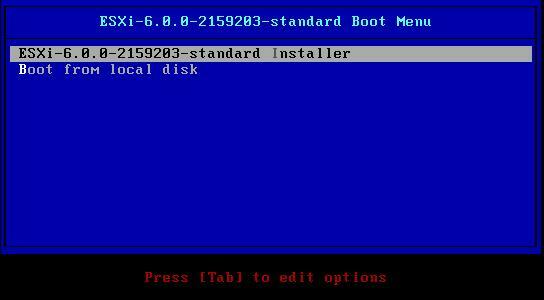 The default option is to BOOT ESXi-6.0.0-2159203-standard Installer after 10 seconds, hit any key will pause the BOOT process. 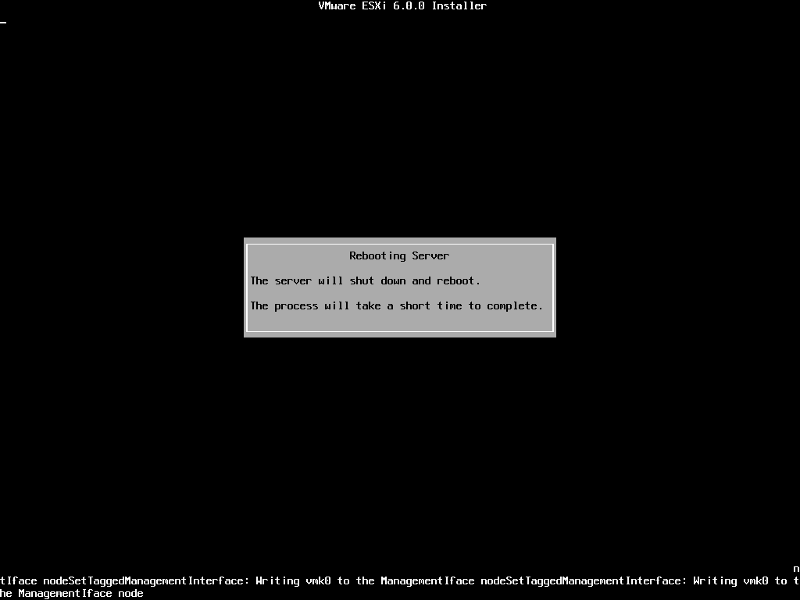 At the Welcome to the VMware ESXi 6.0.0 Installation screen Hit Enter to Continue the installation. The ESXi installer will scan the computer storage controller for available devices to install ESXi. ESXi can be installed on a USB flash drive, SD card attached to the computer, local SATA, local RAID Array, or Fibre Channel or iSCSI LUN. All these are supported options. 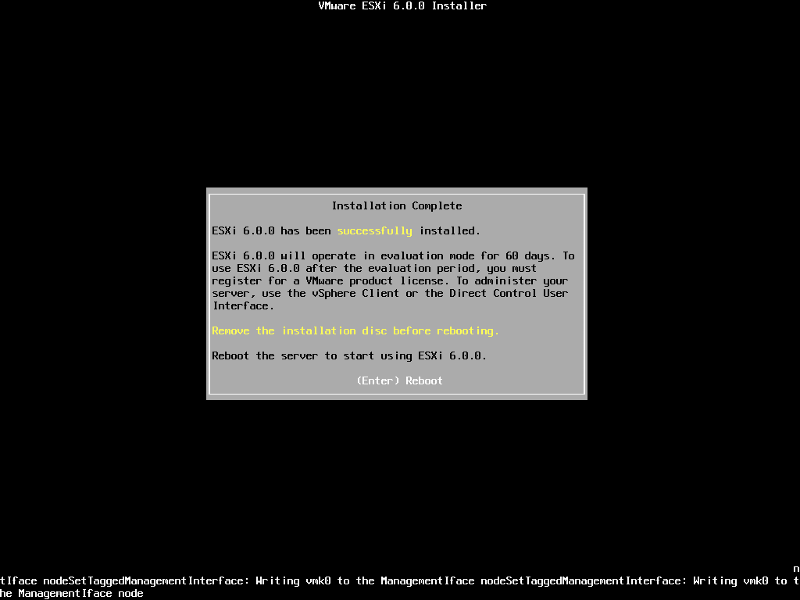 As the footprint for ESXi is very small only 1GB is required for the ESXi OS installation. We have written an EE Article here on How to Backup an ESXi installation on an USB Flash Drive or SD card, for security or redundancy. After you have completed the ESXi 5.1 installation, shutdown the server, remove the USB flash drive or SD card, and duplicate it using our EE Article. When prompted select a disk to install ESXi on, in the following example, we have two disks connected to this computer, a single 1GB disk, and a 120GB disk. We are going to use the small disk for the OS. (this simulates the USB flash drive!). The larger 120GB disk will be used later for the storage of virtual machines. When prompted, select the keyboard layout and hit Enter to continue. The default keyboard layout is US Default. All data will be erase, as the disk will be repartitioned. The Progress Bar will confirm installation progress. The installation only takes approximately 5-10 minutes, depending upon speed of storage. When the installation has completed the following screen will be displayed. Remove the CDROM installation disk before rebooting. Hit Enter to Reboot. After hitting Enter the follow screen will be displayed and the computer will reboot. ESXi 6.0 will operate in evaluation mode for 60 days. This is the same mode as a FULLY LICENSED ESXi 6.0 server. 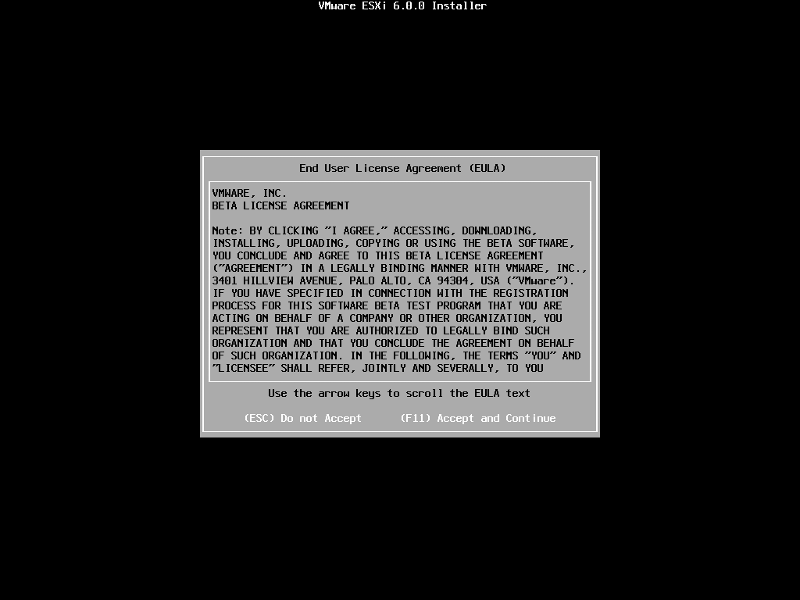 If you wish to evaluate all the bells and whistles that ESXi 6.0 has to offer, do not register your FREE license. for 60 days, this will allow you to evaluate ESXi 6.0 server fully. On day 59/60, Apply your FREE license to continue using the product, or you will not be able to power on any virtual machines. 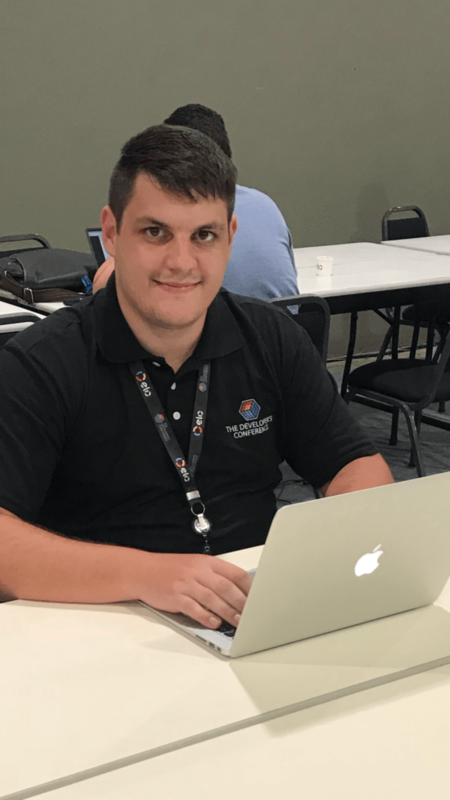 The default server configuration is to use DHCP, if you do not have a DHCP server issuing IP Addresses on your network you will need to assign an IP Address. We recommend you use a static IP Address for your ESXi Host Server. Press F2 to Customize System, you will be prompted to enter the root username and password. Select Configure Management Network to change Network Parameters. Set the Static IPv4 address and network configuration, Subnet Mask and Default Gateway, it’s important to set the correct Default Gateway, as this will be used later. Hit Enter to confirm and save the configuration. Select DNS Configuration, enter the correct DNS information for your network, and enter a hostname for your server. Hit Enter to save the configuration. Enter your DNS suffix (the domain name for your network). Make sure you have created a DNS A Record in your DNS, so that this server can be resolved correctly through forward and reverse lookups. Hit Enter to save your configuration. Press Escape, the following screen will appear, select Y(es) to apply changes. Press Escape to Logout and return to the console screen. You will notice on the console screen, the server now has a hostname configured, and correct static IP Address. 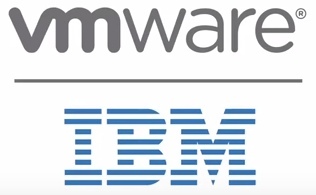 Congratulations you have successfully installed and configured VMware vSphere Hypervisor 6.0. 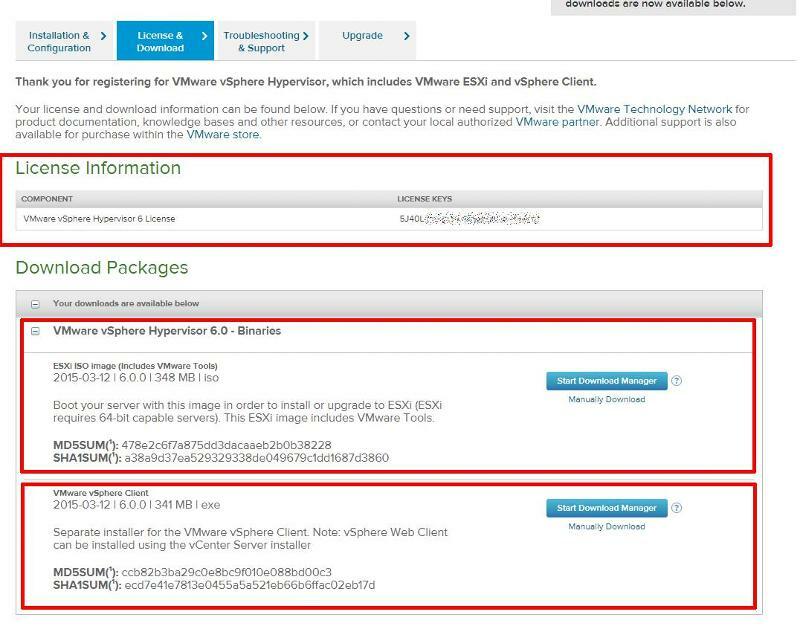 In the next article in the series, we will connect and continue to configure the VMware vSphere Hypervisor 6.0.